Ansel G. Moreau, world-famous French action movie star, has a few dark secrets. 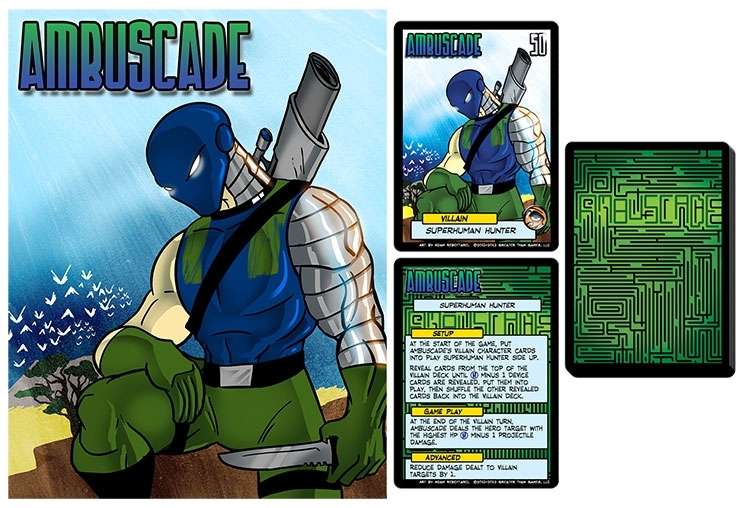 His hobby of big game hunting has spiraled out of control – his constant need for bigger and more threatening prey has him hunting the very heroes that protect the earth! To this end, he employed a shady genetics corporation to give him superpowers, but the process went terribly wrong, scarring his million-dollar face and ending his acting career. 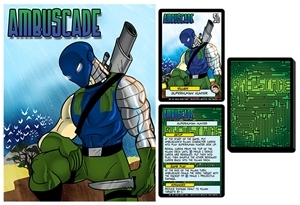 Sentinels of the Multiverse: Ambuscade Villain Character is a new villain character, with his own unique villain deck of 25 cards, a rules card, and a character card.